COLUMBUS, Ohio – Fresh off a State Semi-Final Appearance Friday, the South Range Raiders are continuing to stack wins atop an already successful season. Senior Peyton Remish was selected as an All-Ohio First Team Linebacker. Teammates Aniello Buzzacco, Mathias Combs and Anthony Czap also were selected among the best in the state at their respective positions. 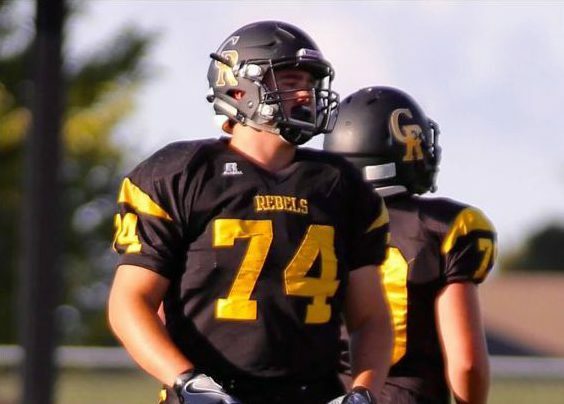 Joining that list of Raiders is Crestview Rebel Junior Lineman, Dom Perry who had a stellar year even with an injury. The Division IV and V football All-Ohio teams were announced Monday by a statewide media panel.